My MacBook Air, with its light weight and extended battery life, is ideal for a mobile worker. Most times I take it to work I put it in my backpack when commuting,but sometimes I need to look a little smarter like when I'm going to a conference or meeting. I was interested in seeing if the Snugg MacBook Air 13 case was going to fit the bill. I'm very protective over my MacBook because I saved up for one and it was a very considered purchase so using a case is key for me. When it arrived I immediately fell in love with the vibrant blue color. My MacBook is super slim and I often lose it amongst magazines or paperwork. 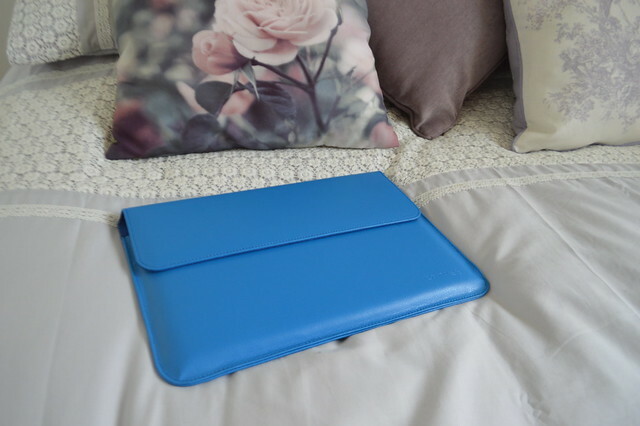 The colour makes the case extremely visible and I don't have to spend ages hunting for my laptop when I want to use it. 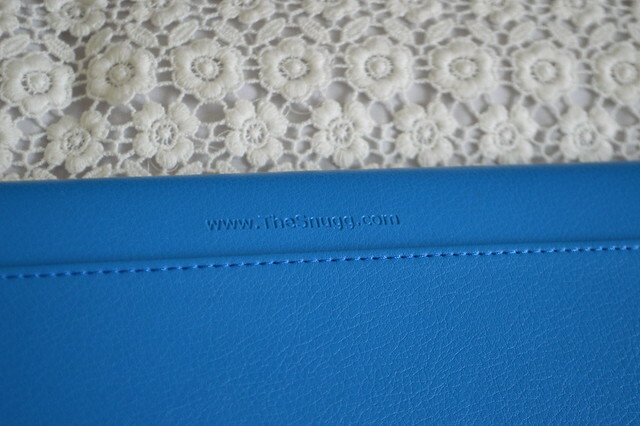 Electric blue, PU leather sleeve for the MacBook Air 13" 2012 and 2013 editions. Sleeve case with magnetic flap to close. Includes card holder and large pocket. 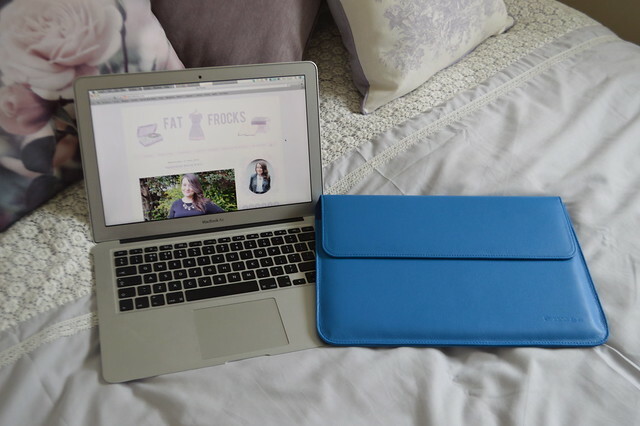 The Snugg MacBook Air 13 Wallet Case comes in lots of colours so you can opt for something a little more conservative if your place of work is a bit more business like. 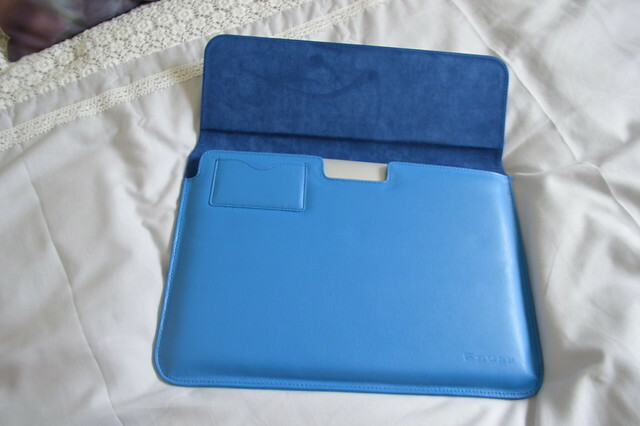 Its soft lining avoids scratching my MacBook and the case has a small pocket for my business cards in the front and a larger one for some sheets of paper in the back. There’s also a very convenient little cutout that allows me to connect to the power while my Mac is in the case. Overall I am very pleased with this case as it's both stylish and functional. This case retails for £34.99 and I was sent one to review. love the colour! if i had a super expensive laptop i'd want to protect it best i could too!